Well heck yea. Ain't that something?? You know I may not like his welds but I am not saying its not going to hold. You guys remember when he first came here and everyone said that his frame was going to split in half. Yeah he proved you wrong on that! Not everything has to be pretty to work. We would all learn more if we keep our traps shut and take it in. Their have been a lot of people that come in here from the gas world and I am surprised they weren't ran off from **** like this. I'm the same way dieselbeef. 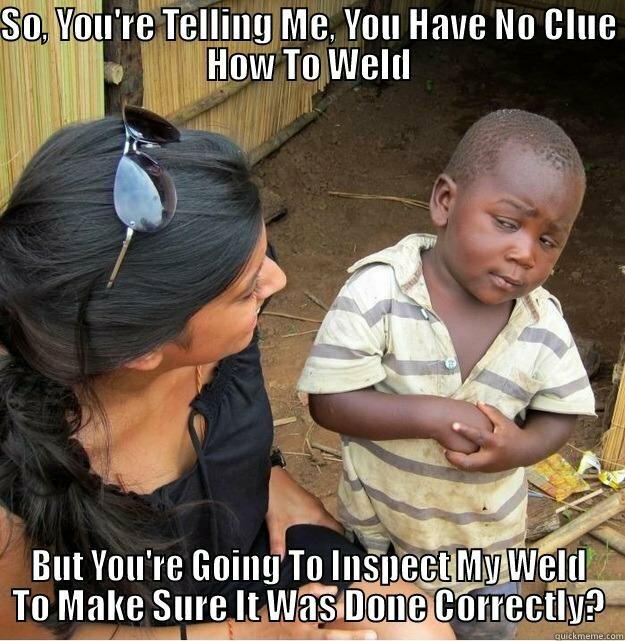 Every weld I see, I feel compelled to inspect, lol ! I can't help it, been welding so long on critical systems across this country... It's just habit now. I get that and I was not trying to point anyone out. Hey thanks 12vchevydually. It is nice to get some support from time to time. Seriously, it's guys like these that make me step up my game or at least remind me maybe I'm getting to old for the important stuff. Yea the welds look like crap and I should get some criticism for them. For what they are doing, I could wafer wheel the entire weld off and enough metal would remain to still do the job. A fillet exist where the two plates join. All I want to know is how come no one has given me flack over my "High Dollar Canadian" headlights. I bought them from ofelas on here and I must say I should have done this years ago. I am not a light connoisseur, however, compared to the best factory replacements I've bought, these lights are 100x better. I'm saving money now to do a volume purchase. I want these lights in all my first gens!!! Hot taps without a qualified procedure ? Yeah, that'll get someone's a$$ run off for sure !!! Can honestly say in all the years I've been doing this, that's the first time I've heard of that happening... How many heads rolled for that one ? None. lol My pipeline job was inspected by the DOT. We were doing a tie-in beside a township road and things were not going well. We had a syphon go down and she gave a little burp. Long story short, we ended up with a full review of our welding procedures and I became an expert on part 192. All the company had installed up until this point was a saddle tap. We had some high pressure taps installed when the lines were dead. The deal is and I will quote "If you buy at least two sets, they come with a FREE CASEof maple syrup". I could really give two $hits about the headlights. You can buy all that crap on the Wal-Mart shelf you want. I truly had no idea what real Maple Syrup taste like. We're you in it long enough to catch the rise of the 7016 rod ? That's the "new best thing" down here in the Texas oilfields, and it's sloppy. First time I tested with it, (never even burned one before) I was tempted to just roll up my truck and burn off ! Weld boss came by and was just tickled pink, said it was the best root he had seen all month... And honestly, to me it looked like garbage, lol ! I rarely do any stick work. mostly mig at home and aseptic tig here at work for sanitary food processing. even the worst mig should look better. Bahahahah ! Man, I haven't seen that meme in a few years. So you're one of "those" inspectors! Hahaha. Couldn't resist, not knocking you, just giving crap. While they're definitely not the prettiest welds, I've seen some pretty ugly "farm welds" hold some serious abuse. I've bounced between production, and Q/C, I really have to be on my A game back in production now, I talked a LOT of crap the 3 yrs I was inspecting! How recent did you work for EQT? We've made tanks for them in the last few yrs. Don't want to name the company, don't want to risk getting in trouble for posting about them online, they monitor it crazy!